Not only does Richard Bruton review issue two of Thunder Brother: Soap Division for the Forbidden Planet International blog today, he also catches up with the online episodes. "And I’m quite happy to tell you that I reckon Rainey’s really got something good here. The next three storylines are all cracking, each one delving a little more into the world of Soap Division, using Sally as our window on a very strange world, and Rainey is obviously having a lot of fun as things get very complicated, very meta, very tongue in cheek. All great stuff." Copies of issues one and two can be ordered from my shop. On Wednesday evening at The Phoenix Artist Club on Charing Cross Road in London, the launch part for the new graphic novel from Gary and Warren Pleece, The Great Unwashed, will be taking place. I've seen the book and let me tell you, it's a great collection of the Pleece brothers work. 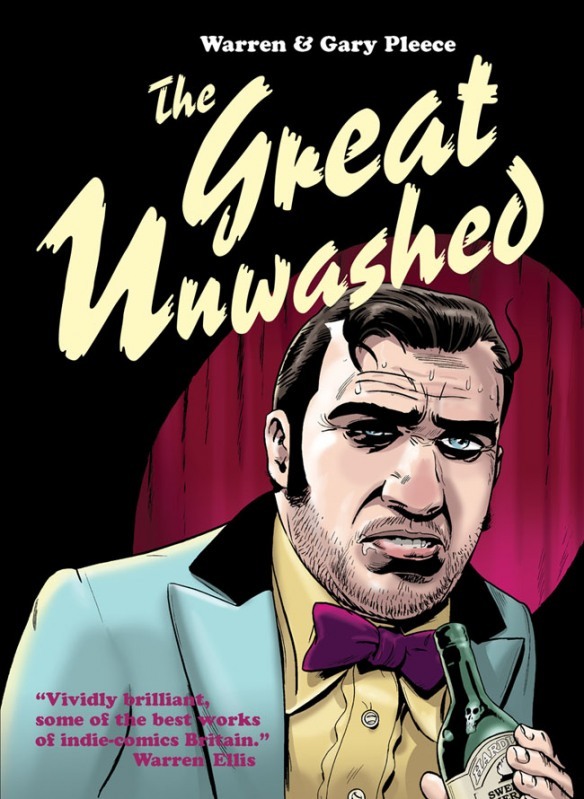 The Great Unwashed is the first graphic novel from Escape Books for twenty years. During the 1980s, they published the early comic work of creators such as Eddie Campbell and Neil Gaiman. 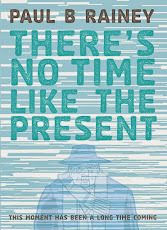 The reason I am telling you all of this is that it is my honour to be able to announce that Escape Book's next graphic novel is There's No Time Like The Present. The collection features the complete 320 paged story written and drawn by myself, tweaked for improvement including extra panels, dialogue and pages, with all of the art grey-toned for your pleasure. No release date has been confirmed just yet but Escape Books and I will endeavour to keep you abreast of any updates. 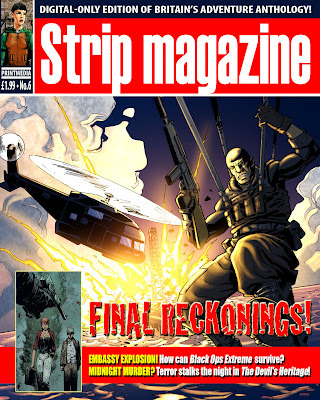 If you own an iPad and you like comics, then you might like to consider buying a copy of Strip Magazine 6 which is now available for you to download to your device. Amongst the various comics, it features a strip called Body Pop, written by myself and drawn by Robert Wells. Robert and I submitted Body Pop to the magazine's Strip Challenge and was one of six successful entries. My other entry, written and drawn entirely by me and called The Jelly, wasn't as successful but appears as an extra in the recently released second issue of Thunder Brother: Soap Division. If you don't own an iPad but still want to read Body Pop, then it appears in the super-sized physical edition of Strip Magazine 5 scheduled for release in the next few weeks. 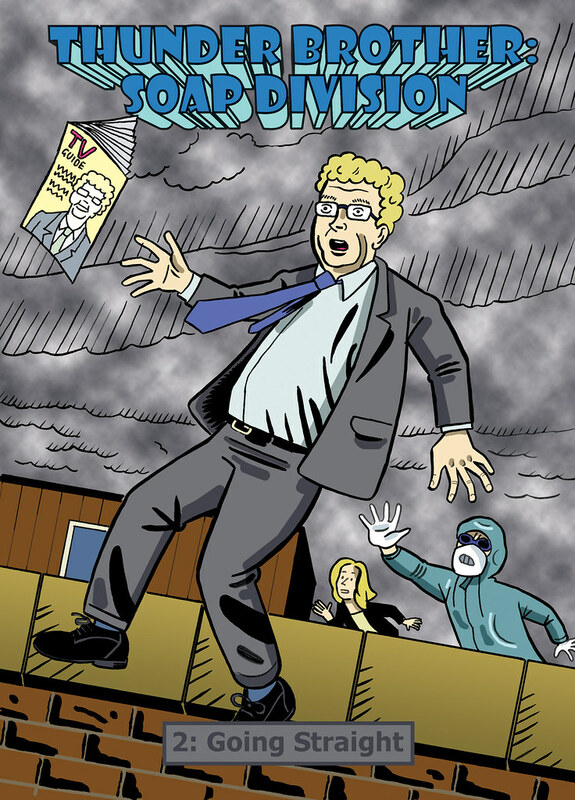 If you're unfamiliar with Rob's work, or even if you are familiar with it, then you really should check out his latest comic, Department of the Peculiar, which he did with Rol Hirst and is available to buy from either of their websites or from Amazon for the Kindle. One of my favourite cartoonists Rob Jackson writes a mini-review of the second issue of my comic Thunder Brother: Soap Division here. "The continuing story is great and I really liked the science fiction style back up story, 'The Jelly'. Its a bit like the Matrix, but good." Copies are available to buy from The Shop.